There’s been a lot of NB 990 posts recently on Instagram, so I figured that it was only right to pay homage to them, especially since the year is drawing to a close and one of the best things to come from NB USA was the introduction of the 990 retros. So if we start from the beginning.. First introduced in 1982/83, the turn of the year just happened to fall on the 990’s 30th anniversary so when the first news drew that NB would be welcoming back the model, we were all very excited! 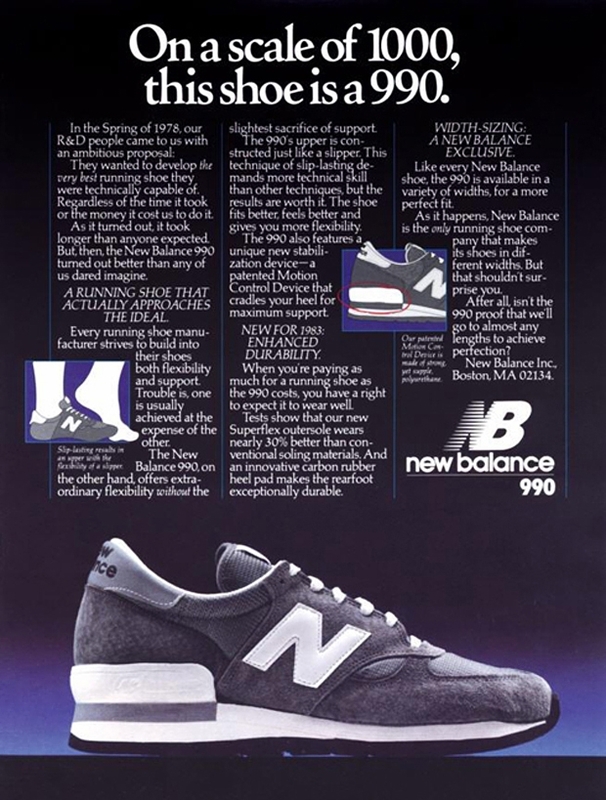 Even back in 1982/83, the 990 was one of the most expensive running shoes on the market, so it was inevitable that we would be looking at a high retail price in 2013, especially with an added Vibram outsole, pig suede and closed mesh. 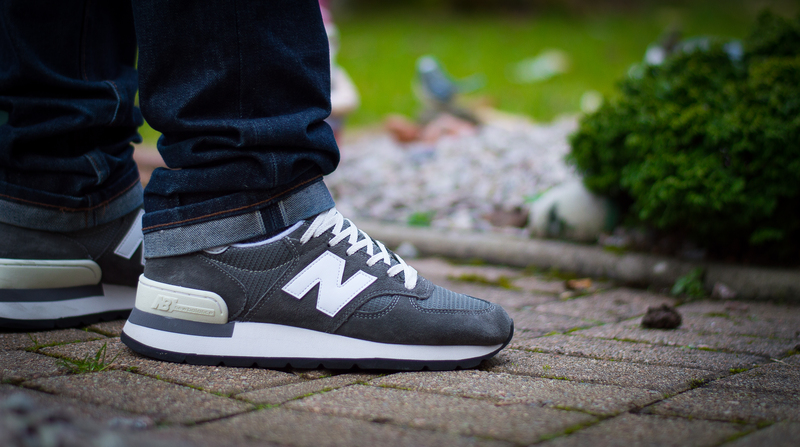 First to release was arguably the most anticipated pair, a special “1 to 1” reissue of the OG Grey colourway which would be limited to only 990 pairs and feature a a commemorative metal hang tag and a retail price of £160 ($180) back in December 2012. I picked this pair up from Hanon Shop in Scotland and there was only 4 of us queuing for opening on a very cold and wet December morning. 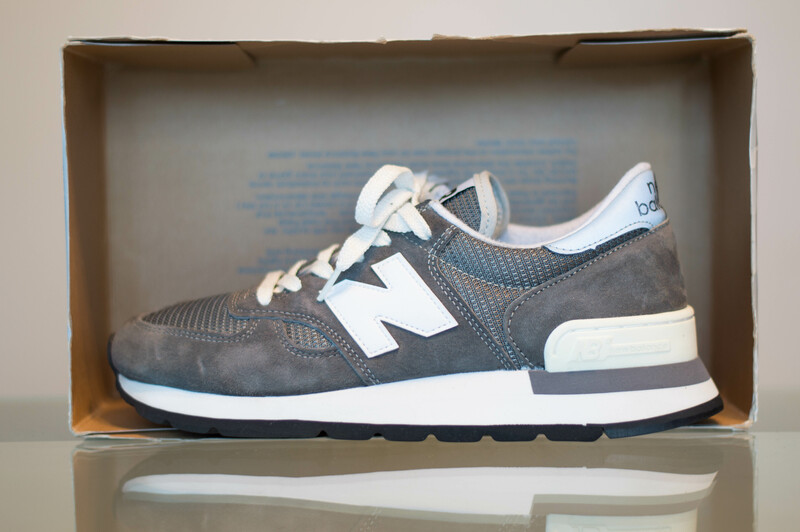 There seemed to be very little interest but as 2013 went on, and the other colourways were released, there was a common theme of many people saying that they had wished they’d picked up the grey and now had to pay the high resale price! These four simple colourways that were first released are all stunning and feature a great build construction, materials, shape and excellent comfort. 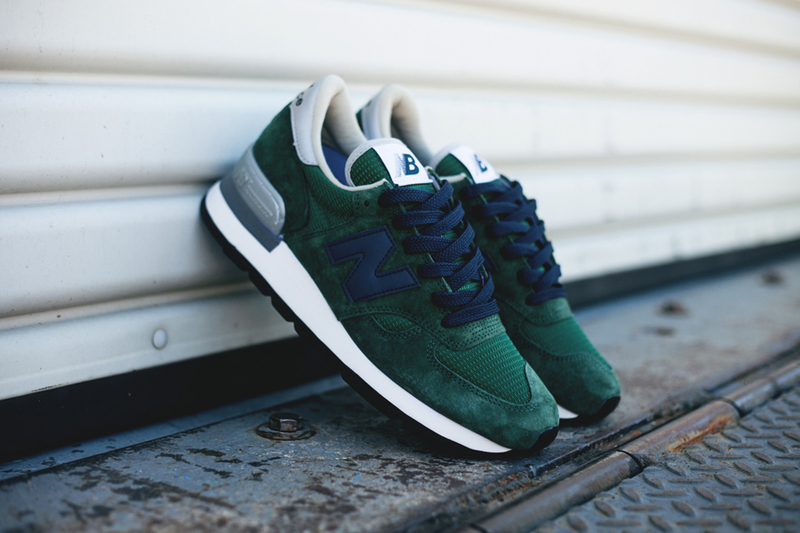 Q4 2013 was to see the release of another colourway, this time it would be a green/navy colourway which wasn’t particularly doing it for me but after seeing them in person, it works very well. Image taken from EU Kicks. This pair, 990GB is available at many US New Balance retailers just now but has still not dropped in the UK, however, we hopefully will see it in the next couple of weeks, so keep an eye on the usual spots. Finally, the 5th colourway of the 990 is royal blue/red and is due for a release in Q1 2014. There are a few pictures floating around the internet if you look hard enough. 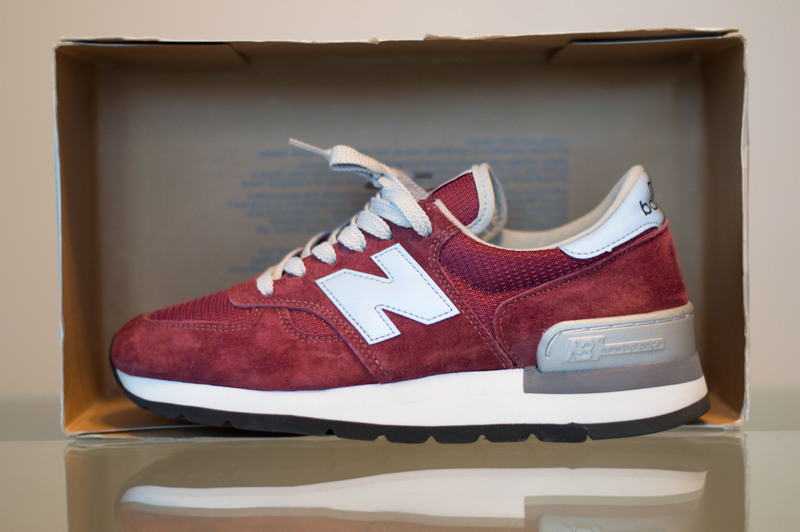 It’s been a great year for New Balance USA, trumping the majority of products that Flimby and Asia released, due to their superior quality and consistently great shape. 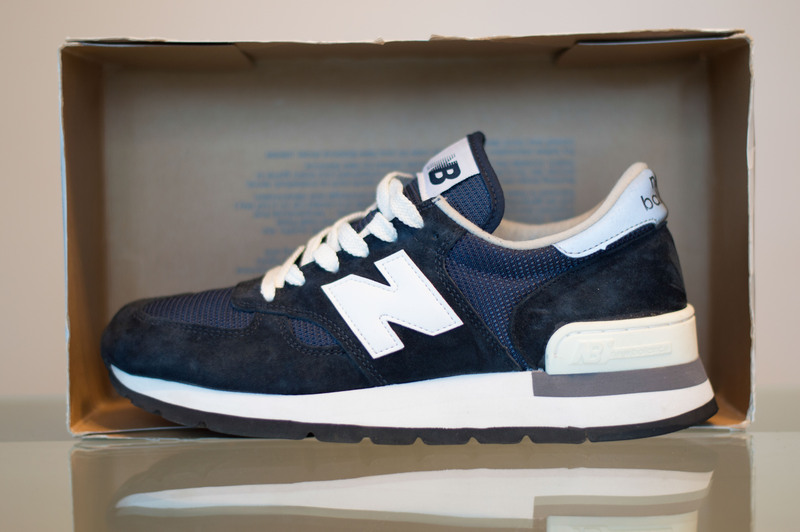 Next up is the 997….. And no-one does suede and mesh better than New Balance.